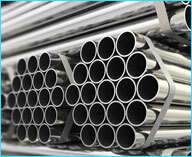 What Is Astm A672 Grade B70 ? 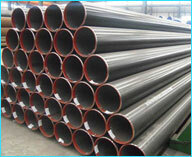 ASTM A 672 Pipe Standard Specification for Electric-Fusion-Welded Steel Pipe for High Pressure Service at Moderate Temperature covers electrical-fusion-welded steel pipe for high-pressure service at moderate temperature. 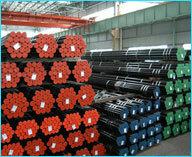 Heat treatment may or may not be required to attain the desired properties or to comply with applicable code requirements. 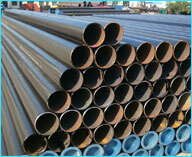 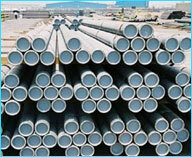 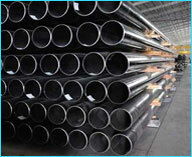 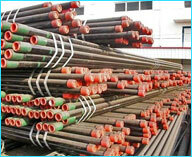 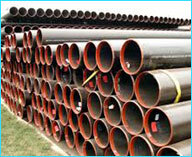 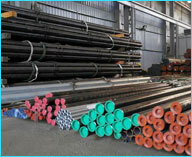 We are leading manufacturer trader & suppliers of Carbon Steel Pipes & Tubes (ASTM A672). 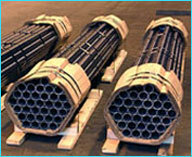 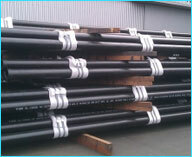 These EFSW IBR Carbon Pipes (ASTM A 672 GR60 CL 22) are available in various specifications. 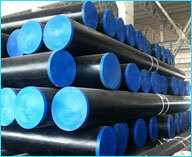 We supply these ASTM A672 Carbon Pipes to various industries at competitive prices. 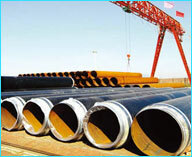 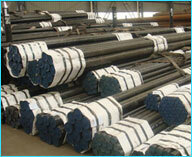 In addition, we also facilitates our range carbon steel pipes in customized requirements. 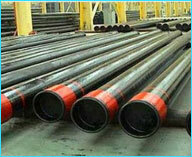 Astm A672 specification covers electrical-fusion-welded steel pipe for high-pressure service at moderate temperatures. 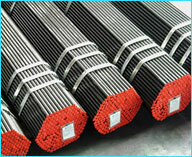 Heat treatment may or may not be required to attain the desired properties or to comply with applicable code requirements. 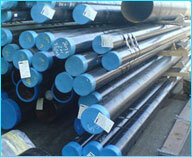 An analysis of each mill heat of plate material shall be made, also, an analysis of the finished deposited weld material from each 500 ft or fraction thereof shall be made. 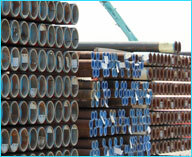 The mechanical test requirements includes one tension test specimen to represent each lot of finished pipe, and one transverse-guided-weld-bend test (two specimens) to represent each lot of finished pipe. 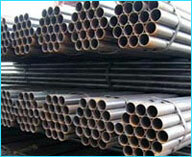 Also, radiographic examination shall be made on the full length of each weld. 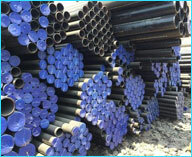 Sizes Range : 12" - 24"
Give us a call today to get all the information, +91-9819591024, If you're looking to buy or sell ASTM A672 Carbon Steel Grade B70 Pipe, we can help., call to our Distributor in India or mail us to info@neelconsteel.com for instant free quote of Astm A672 pipe, Astm A672 carbon steel pipe, Astm A672 Grade B70 pipe for sale. 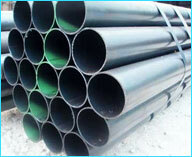 The astm a671 cc60 cl22 pipe supplied by us are accepted by clients in various spheres of the industries ranging from basic industries such as Sugar, Paper, Textile, Dairy, Engineering to more complex such as Oil & Gas, Petrochemical, Chemical & Fertilizers, Power Generation and Nuclear Industries.We are also have huge ready stock of Alloy Steel Pipe & Tube , Carbon Steel Pipe & Tube, API Pipe, Stainless Steel Pipe & Tube, Duplex Pipe & Tube, Chromoly 4130 Pipe We offer high grade astm a671 cc60 cl22 pipe at affordable price.Neelcon Steel Industries is largest manufacturers , suppliers & stockist of astm a671 cc60 cl22 pipe. 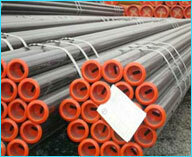 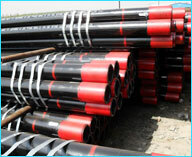 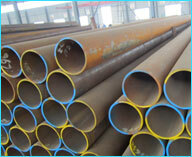 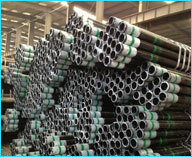 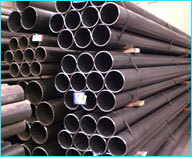 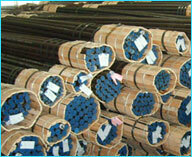 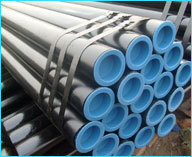 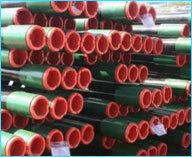 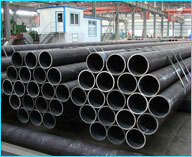 we are supplying astm a671 cc60 cl22 pipe. 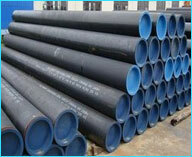 astm a671 cc60 cl22 pipe have excellent quality to fully satisfy customer’s requirements.As well as being available from stock all astm a671 cc60 cl22 pipe can be cut to size and shape according to your fabrication and design requirements and all work is governed by our independently accredited and regularly audited quality systems.